Humans are long gone and all that remains are machines, working through the motions set-up by their masters many ages ago. Their sole priority is to ensure everything complies with the obscure standardization protocol, under the supervision of the all-seeing robot leader Quality Assurance System (QuAsSy). But not all robots are the same. Maybe a result of faulty wiring, there are some willing to stand for themselves, to resist conformity and find their identity. This bleak lifeless world doesn't cut it. You are Heart and you want MORE.You want to become so unique and dashing that nobody will dare look away from you. Started as a personal part-time project (you can follow the development process here), Heart&Slash; has grown into something bigger than initially intended. From a one-man project, it soon became clear that a bigger team is required to make it the game it deserves to be. Die and try again. Heart&Slash; is not an easy game. But dying shouldn't matter as robots can be easily and indefinitely cloned. Every time you start a new game, the levels you fight through, and the items or weapons you collect, will change. Fight using 75 different weapons and 60 different body parts that will change the way the game plays. Teleport, stop time, fly with a jetpack, wall-jump, discover enemy weaknesses and so on. From the trivial to the game-changing, you can try thousands of different combinations. The game will have almost no downtime. Levels are short and brutal, and the game, in a successful run, should not be too taxing on your time (whether you will ever be able to make a successful run is another matter). 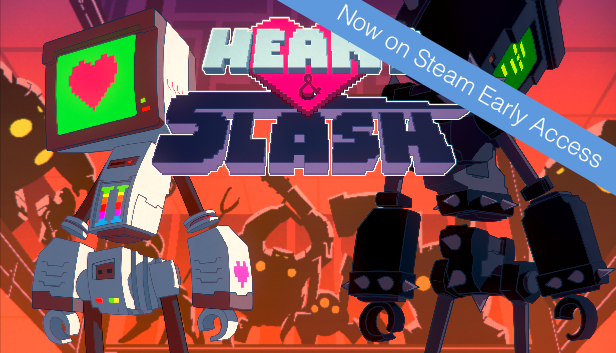 Heart&Slash; aims to offer the player something new and challenging. Ultimately, playing Heart&Slash; is not about mastering one system. Instead, it’s about being able to adapt to what you are given and making the best out of it. Today, Heart&Slash has been released out of Early Access. After now, finally, Heart&Slash is ready to rock! For the first week it will have a 10% discount, so take this chance to buy it. 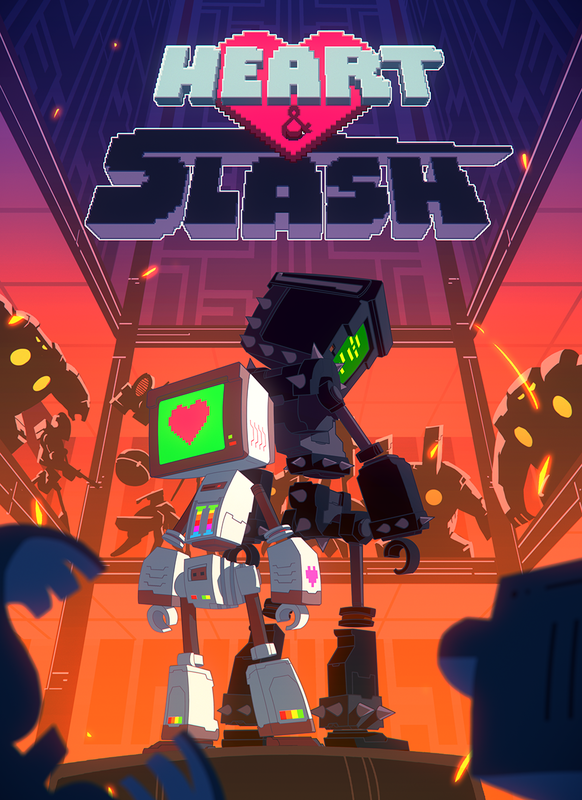 Today, Heart&Slash; has been finally launched for consoles! We finally have a release date. Heart&Slash; will release June 24th on PS4 and XboxONE and early August 2016 for PC! Heart&Slash; First demo out. Try it!!! It's been some time coming, but finally we have a new PUBLIC demo to show all progress we've done to the game since Early Access! Demo for Heart&Slash;, the 3D roguelike brawler, showcasing the first level and the tutorial. Demo for Heart&Slash;, the 3D roguelike brawler, showcasing the tutorial and the first level. Interested in getting this on PS4 but waiting for a price drop. I want to post your game in my blog. Is a latin blog of games. I can? I can't access the level up menu for some reason, Is it not implemented yet or am I doing something wrong? Hi. There were some problems related to frame rate issues. These builds are a little old now, but we plan on releasing new public builds in the next month. They will be limited to the first level and lack lots of content, but will serve as our demos and technichal benchmarks. pls make it multiplayer it would be awsome!